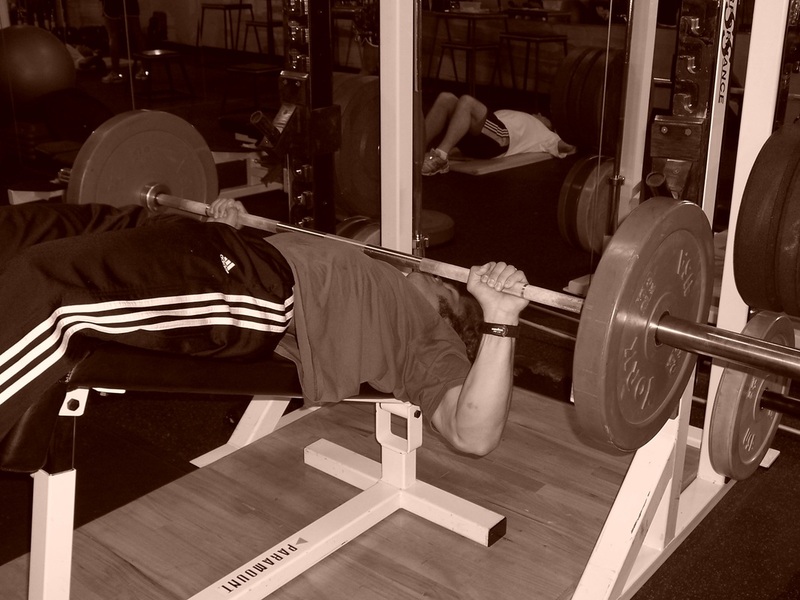 Dallas Personal Trainer - Not very many Dallas gyms have a bench set up for this exercise, however it is a great variation of the traditional bench press that can greatly improve your technique on the traditional bench press because of the declined angle which causes the lats and chest to hold the shoulder down tight in place. 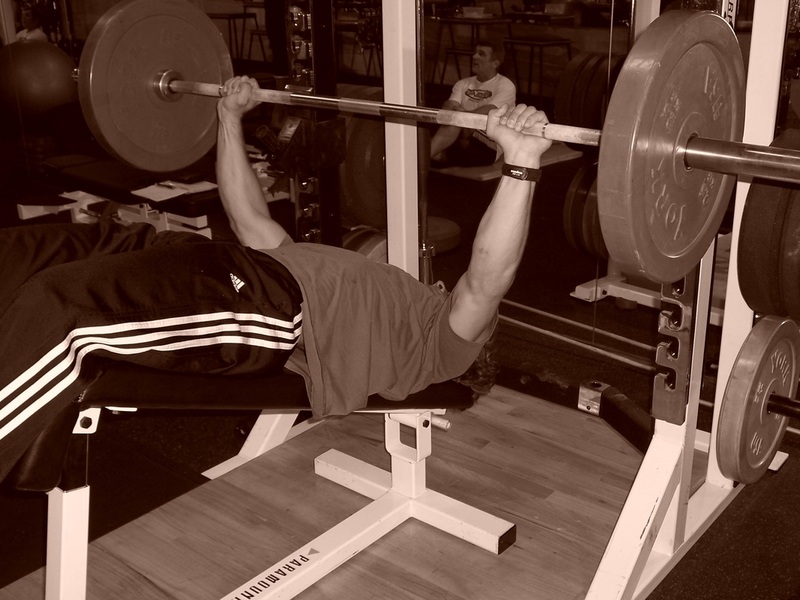 It is uncommon for a personal trainer to truly understand the value of this but big bench pressers typically understand this value greatly because a big bench press is largely about technique and keeping the shoulders down light by contracting the lats tightly is one of the biggest factors involved in perfect bench press technique. Find a decline bench with a barbell rack above it, hook your legs into the leg slots, lie back (don't hit your head on the barbell), and grab the barbell from the rack. Lower the weight to the lower chest (right at the bottom of the chest muscles) and press it back up without using momentum or bouncing. Keep your armpits squeezed tight throughout the entire exercise. Also, do not let your shoulders shrug at any point during the movement. If you are doing this exercise correctly, it may feel almost as if you are pressing the bar up and somewhat toward your body. This feels akward to most people at first, but once you get the hang of it, it will feel comfortable.